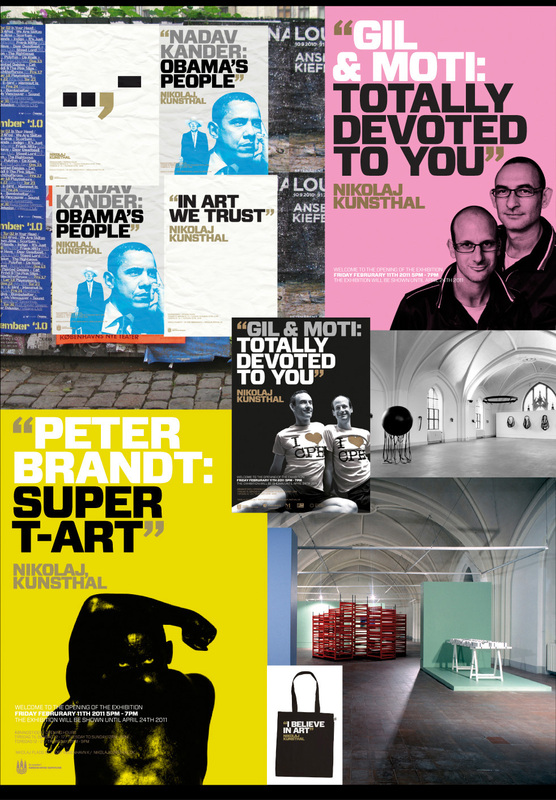 Nikolaj Kunsthal (Nikolaj Contemporary Art Center) is an art center in inner Copenhagen, located in a former church from the 12th century. 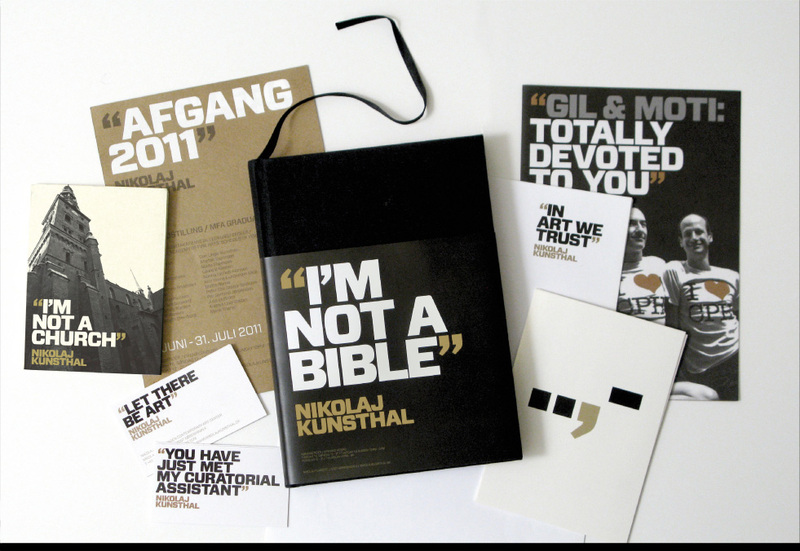 The task was to create an identity, which expresses the mission of the art center, while at the same time benefitting from the unique location of the church room. and do not come inside) was turned into and advantage. 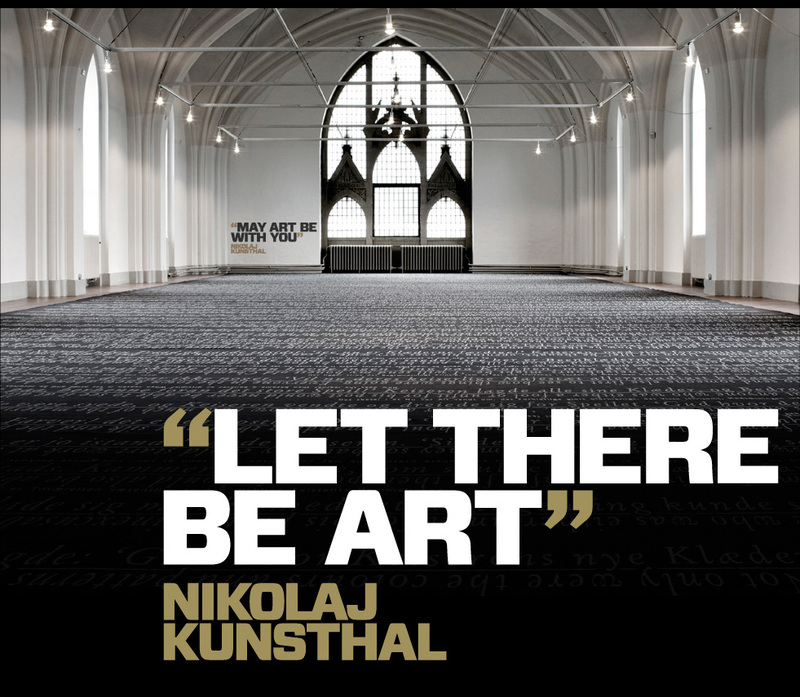 By personifying the art center – Nikolaj – and letting it speak – “Let there be art”, Nikolaj preaches its passion for art through “Biblical” quotes. 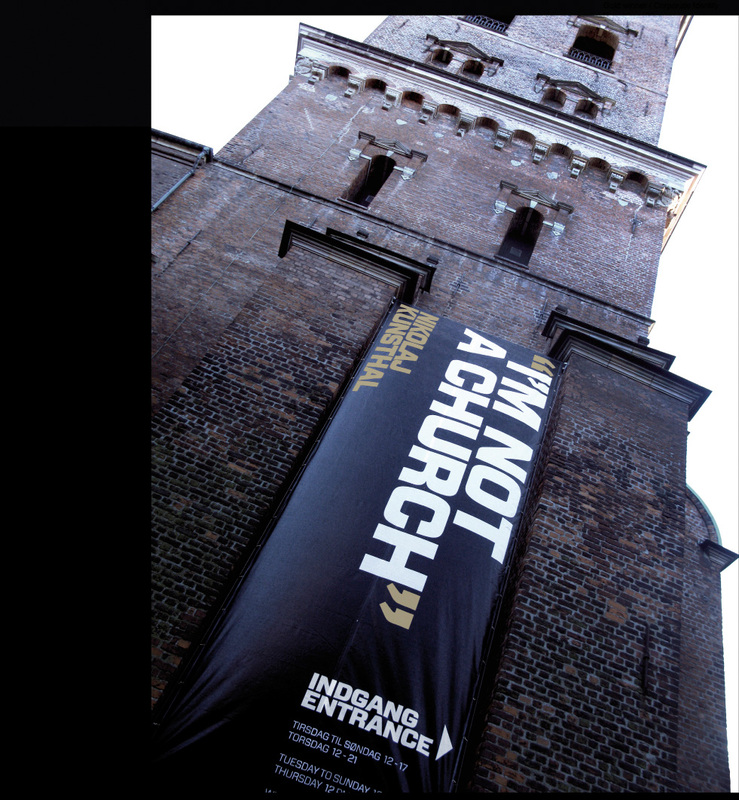 By saying, “I'm not a church” – what you see is not necessarily what you get! 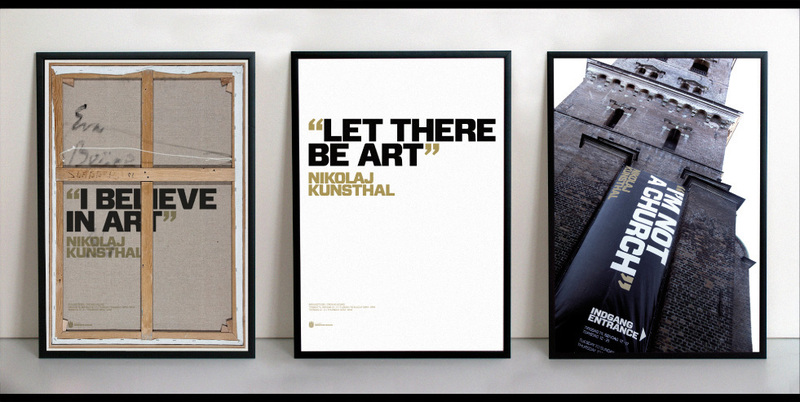 (“Ceci n'est pas une pipe”) – Nikolaj creates curiosity, andturns the art center's only disadvantage into a blessing. 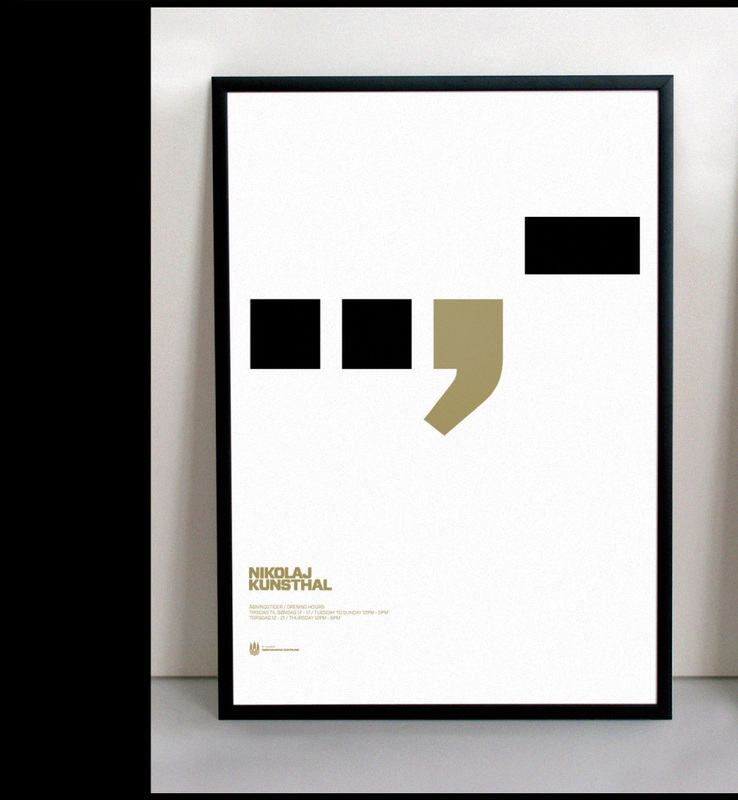 The stringent color scheme of the art center's corporate identity (gold, black and white) ensures recognition, and allows the posters/material for individual exhibitions to stand out, while at the same time expressing the art center's vision. This means that every new exhibit, no matter how different from thelast, becomes a part of, and strengthens Nikolaj's holistic identity.